Societies around the globe are producing more data each day than was produced by human beings since the beginning of time. We are creating data today at such a rate that there are no longer enough qualified humans to analyze and use it. Our Amplify AI family of Cognitive Processes help pair people and machines to collectively interpret fast-changing data and business conditions in real-time. The goal of these processes is to boost employee expertise and operational productivity through machine accumulated insights from internal and external data so that collectively they act more intelligently than any person, group, or computer has ever done before. Amplify AI Cognitive Processes pair humans and machines in variety of engagement patterns. This includes presenting alternative means with evidence to perform the same activity; inserting additional activities; or aborting the current processing and escalating it for human intervention. 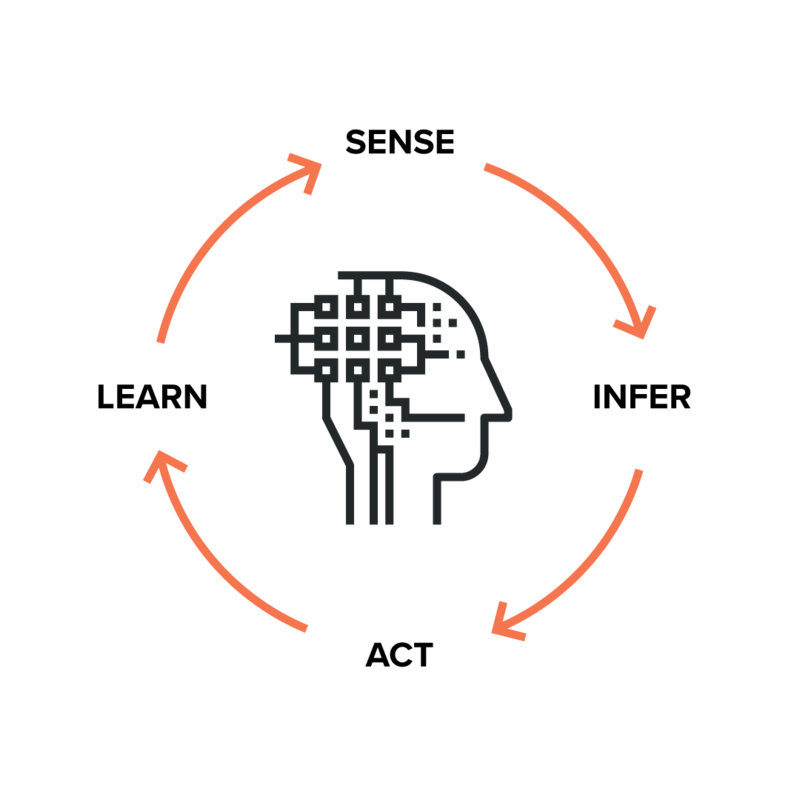 These Cognitive Processes are made of accelerators, framework and are configured and managed through Cortex, our Cognitive Process Foundation. For more information visit our Technology page. Cognitive Process Accelerators are containerized, open-specification based services that dramatically reduce the time and skills required to design, build, deploy and manage enterprise-grade machine intelligence systems. 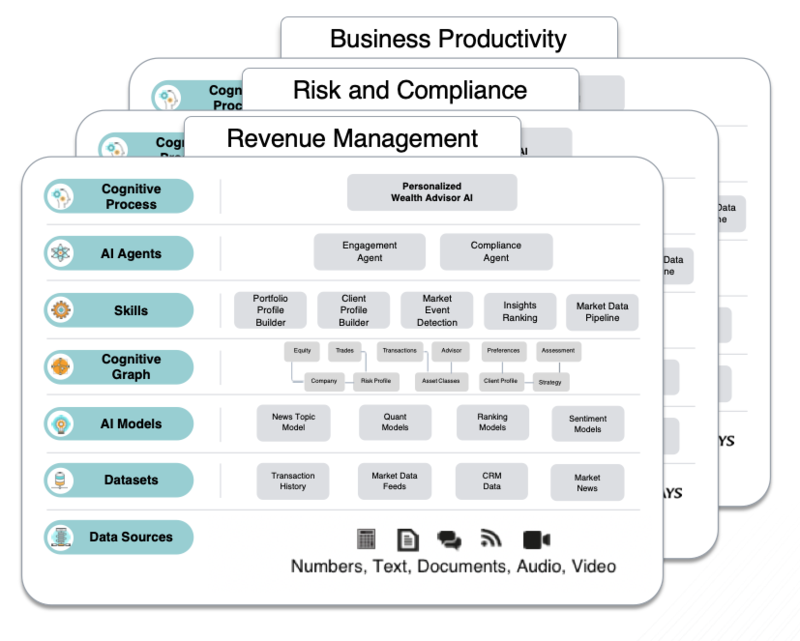 Examples of Cognitive Process Accelerators include pre-trained AI agents, skills, models, and enriched industry data sets as well as third party ecosystem integrations. Cognitive Process Accelerators are stored in the Marketplace for ease of use and governance and brings the power of an App Store to Enterprise AI development. They are sourced, assembled, tuned and deployed through Studio – the industry’s first visual AI Platform that provides a higher-level programming model to dramatically reduce time and skills required for the implementation of Enterprise AI systems.